Our Heritage club was inaugurated by our Principal Mam, Mrs. Anjali Aggarwal on 2 May 2005 and was named Virasat. 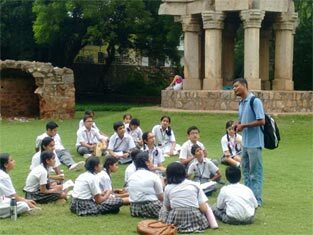 A heritage walk for Heritage Club teachers of St. Mark’s Sr. Sec. 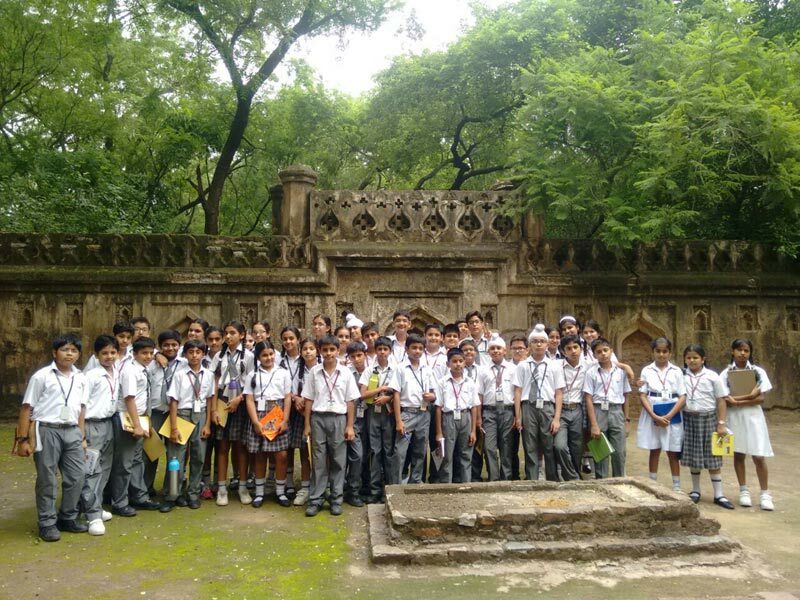 Public School, Meera Bagh was organised by India City Walks at Mehrauli Archaeological Park on 4 September, 2016. Popularly known as Jamali Kamali, this park is unique in being dotted with ruins from early medieval times to the 19th century. 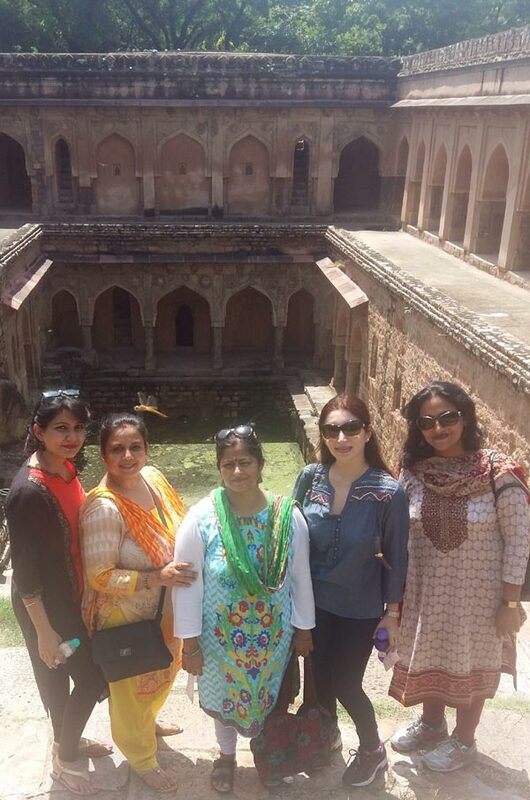 The tour included exploration of Balban’s tomb, Jamali Kamali, Quli Khan’s tomb and the famous Rajon Ki Baoli. The organisers provided a wonderful experience to the educators from different schools of Delhi. 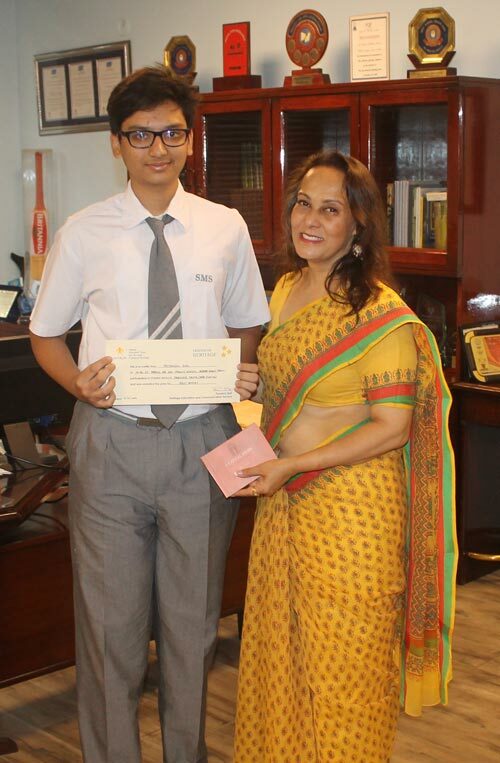 Priyanshu Goel (IX B) of St. Mark’s Sr. Sec. 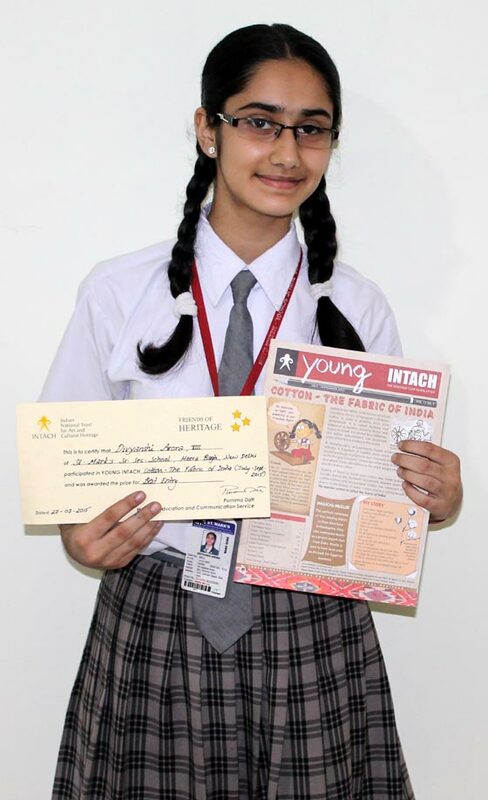 Public School, Meera Bagh participated in Young INTACH Newsletter ‘Fabulous Fruits’ (April - June 16) and was awarded a Certificate and a book for the Best Entry. Enthusiasm and excitement filled the air as C.B.S.E. Class XII Results (2015 - 16) were declared. 87 students scored more than 90 % in aggregate. 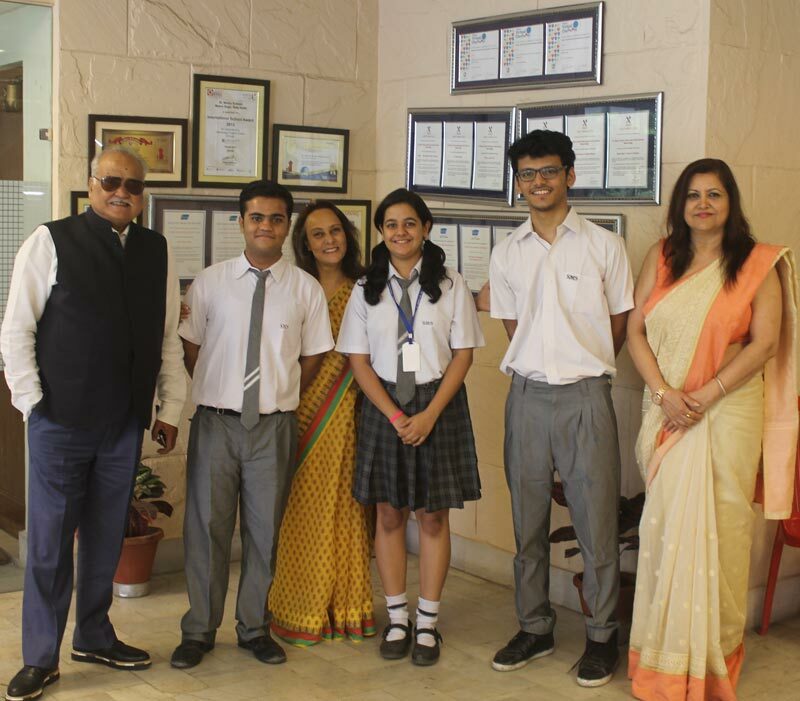 The toppers in each stream were : Science – Lakshay Arora (97.8 %); Commerce (with Maths) – Sanya Kumra (95.8 %), Commerce (without Maths) - Shivam Chauhan (92.2 %) and Humanities – Geetanshi Dhawan (95 %). 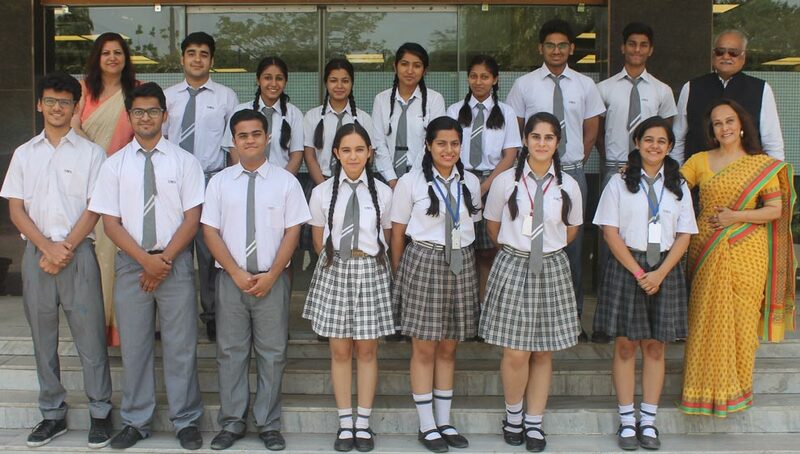 Lakshay Arora, Manan Jain and Manushi Arora scored 100 % in Physics, Chemistry and Home Science, respectively. A total number of 886 distinctions were secured in various subjects of every stream and 95 students scored distinctions in all five subjects. The Principal, Ms. A. Aggarwal congratulated the students and teachers for their success. St. Mark’s Sr. Sec. Public School, Meera Bagh participated in the Heritage Club Award (2015-16) which is organized by INTACH. It is a competition in which schools from all over India participate. Our school was selected as 2nd Runner’s Up and received a cash prize of Rs. 2000 and a trophy for the same. This award is given on the basis of various activities undertaken by the Heritage Club of the school to promote and preserve Indian Heritage. St. Mark’s Sr. Sec. Public School, Meera Bagh was published in ‘YOUNG INTACH’ - The Heritage Club Newsletter in the edition of July - September, 2015. On 31 July, 2015, 41 students of classes VI to VIII of St. Mark’s Sr. Sec. 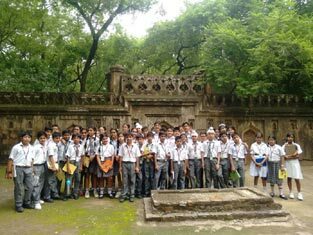 Public School, Meera Bagh accompanied by teacher incharges Ms. P. Goel and Ms. T. Negi went for a Heritage Walk to Hauz Khas Fort. The walk was organised by INTACH. Hauz Khas was built by Allu-din-Khaliji. During the walk the students saw many monuments including a water tank, an Islamic seminary, a mosque, a tomb and pavilions built around an urbanized village. 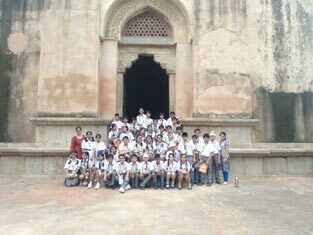 Selected students interested in art along with teacher in charges, Ms. G. Rajan and Mr. D. Kalra from St. Mark’s Sr. Sec. 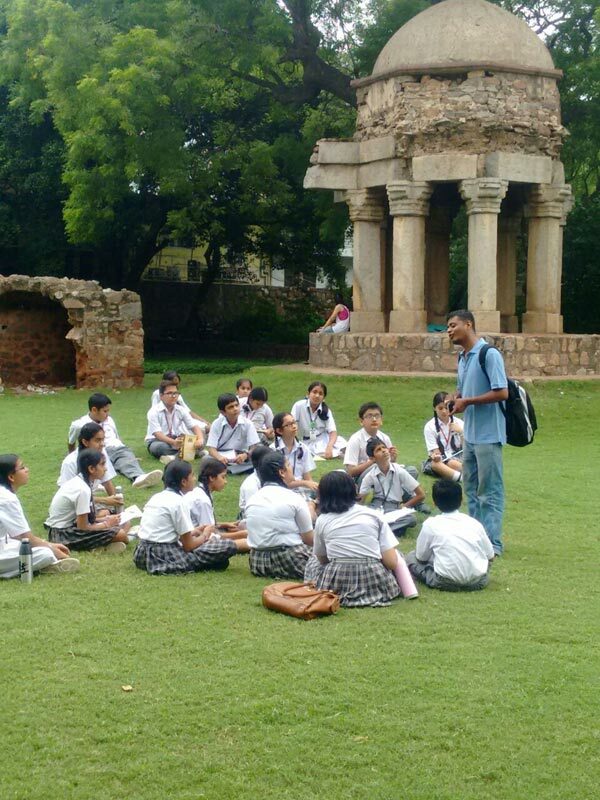 Public School, Meera Bagh visited Indira Gandhi National Centre of Art on 24 March 2015. The objective of the visit was to learn and appreciate the art work done by the Brunners : Elizabeth Sass Brunner (mother) and Elizabeth Brunner (daughter), Hungarian painters who lived in India for about seventy years. Hence, their art work is deeply influenced by Indian landscape, personalities and spirituality. The selected students also met the Chief archivist Ms. Himani Pande who explained to them the importance of archives, and told them about the Brunners' will which states that all their paintings should be preserved in India by IGNCA. The students will now try to recreate the magic of the art of the Brunners by reproducing some of their works. The students also witnessed an exhibition-Fascination by the Orient : Sir Marc Aurel Stein, Hungarian archaeologist and explorer. Around 50 students of class X accompanied by Ms. P. Minocha and Ms. V. Lala of St. Mark's Sr.Sec.Public School, Meera Bagh, visited Feroz Shah Kotla, the place where there are remains of a city constructed by Feroz Shah Tughlaq, a Delhi Sultanate ruler. The highlights of the walk were visiting a Mosque, pyramidal structure and the Ashokan Pillar within the fort. 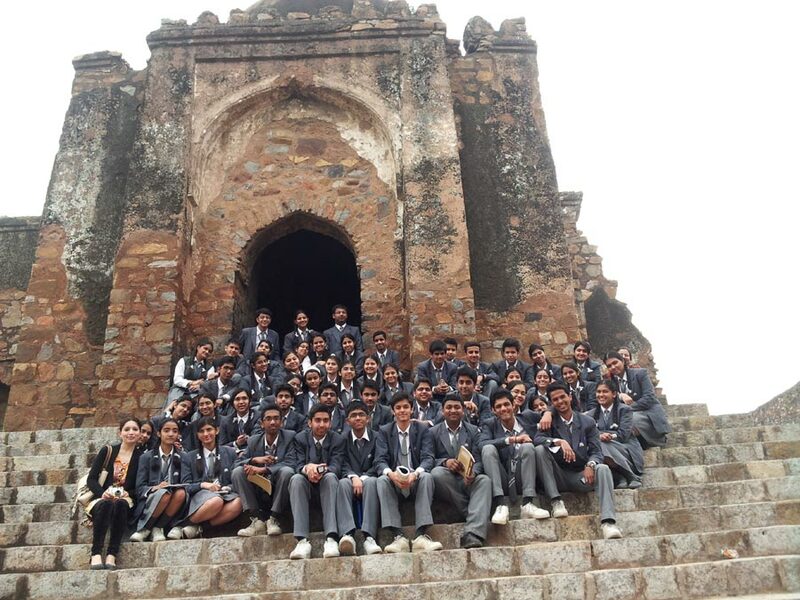 It was an enriching and valuable experience for both students and teachers alike. April 2011 Students to be briefed about the aims & objectives of the Heritage Club, our expectation from the member students, brief introduction about the activities of the Heritage Club to be held in this academic session. May 2011 Introduction about architecture of ancient India - special focus on temples of South India + worksheets to be given related to the topic. July 2011 Students to prepare Power Point Presentations on architecture of medieval & modern period. - To be viewed during these two meetings. August 2011 Students to prepare Power Point Presentations on architecture of medieval & modern period. - To be viewed during these two meetings. September 2011 Discussion on World's Heritage Sites. October 2011 Quiz on - "Know your City"
Visit to Crafts Museum / Dilli Haat. November 2011 Group Activity - Students to be divided into groups. Each group to be given a state - students to discuss the dance form, language food habits and festival of that state. December 2011 To call a renowned speaker. January 2012 Hold a "Just A Minute Competition" related to India's Heritage. »» To understand who and what we are. »» To care for the past so as to create a better future. »» To value and preserve the rich heritage of our composite culture. »» To take pride in the unique diversity of India's cultural identity. »» To give an exciting dimension to learning. Our club 'Virasat' hopes to create awareness and a sense of belonging among students and inculcate in young minds a feeling for heritage.